As you may recall, back in October, after a little over a year of falling ratings and growing controversy, the Today show parted ways with third-hour host Megyn Kelly. The former Fox News personality went too far in her defense of blackface as a legitimate Halloween option, and was shown the door by both the show and her talent agent. Now, reports show that ratings for Today’s third hour have measurably improved since she was dropped from the program. In the words of NPR’s currently gainfully employed talk show host, Kai Rysdall, “Let’s do the numbers!”According to just-released weekly Nielsen averages, in the week after Kelly’s October 26 departure and the demise of Megyn Kelly Today, total viewership for Today’s third hour increased by 5 percent—from 2,522,000 during Kelly’s final week on the air to 2,649,000 during the week beginning October 29. This latest development is unlikely to help Kelly’s negotiating leverage as her attorney tries to persuade NBC’s upper management to maximize her contract payout, which is reportedly worth $69 million. 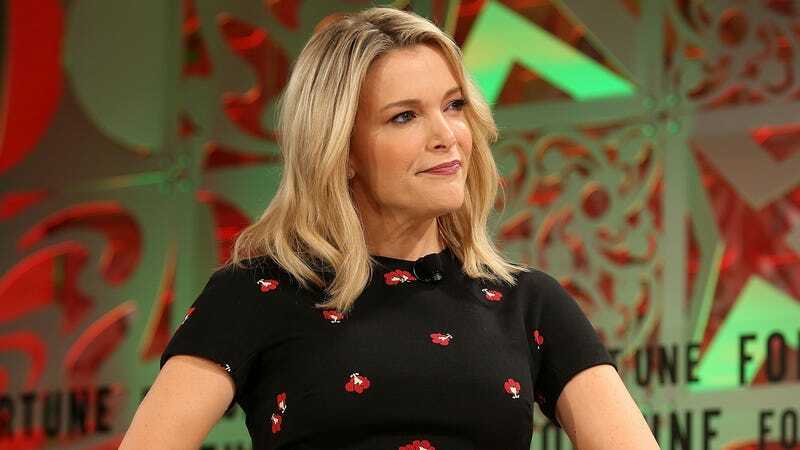 The Kelly-free 9 a.m. program block—which started the week after she defended the historically racist practice of Halloween-costume blackface on her October 23 show and tearfully apologized on the air the following day—has been hosted by a revolving door of Today personalities, including Savannah Guthrie, Hoda Kotb, Al Roker, Jenna Bush Hager, Sheinelle Jones, and Craig Melvin. It’s an ethnically diverse group, one that seems calculated to appeal to a daytime viewership traditionally composed of around 25 percent Latina and African-American women. Perhaps White Santa has a new show for Kelly in his bag this Christmas, but the ratings show that that probably won’t happen at NBC.